There are high hopes for renewable energy to help society by providing a more stable climate, better energy security and less pollution. Government actions reflect these hopes through policies to promote renewable energy. In the U.S. since 1992 there’s been a federal subsidy to promote wind energy, and many states require electricity utilities to use some renewable energy. But when is the right time to stop government support for an energy technology? This is a timely question: Rick Perry’s Department of Energy is currently working on a grid reliability report that many expect to argue that wind and solar cause reliability problems because they don’t supply power continually. A conclusion like this can be used to justify removal of government subsidies or regulations favoring other sources of energy. Subsidies need not last forever – there can come a time when its objective has been achieved or experience suggests the subsidy is not working as intended. Is it time to end subsidies for wind? A big part of the answer to this question lies in whether subsidies are actually making wind cheaper. The justification for subsidizing a given technology is that it delivers public benefits that outweigh the subsidy cost. If a technology shows promise to become cheap enough, the subsidy can be viewed as a temporary stimulus to bring it a point where it can stand on its own. For example, in the early days of the semiconductor industry, integrated circuits were too expensive for consumer markets. Government demand for military applications provided a critical bridge to bring down costs and activate broader markets. On the other hand, subsidizing an emerging technology that has trouble bringing down costs may be inefficient. For decades, the U.S. government has subsidized or mandated production of corn ethanol. Yet ethanol is still not market-competitive, at least not with recent crude oil prices. The price for wind power has gone down over the years, but how cheap is it getting? There is a surprisingly diverse set of answers to this question. There are over 100 existing studies of wind cost trends, with results ranging from wind power becoming more expensive over time to becoming cheaper so quickly that it will soon be cheaper than fossil fuels. Curiously enough, while researchers have recently started to note disparities between studies, no one has yet grappled with explaining and reducing such variability. This is, unfortunately, a common situation in many research domains: Various groups get conflicting results from similar analyses, but no one works on understanding why these differences arise. In a recent paper, we sought to better understand cost reductions in wind power by finding patterns in historical trends. Wind costs follow what economists call a learning curve: For every doubling of wind production, the cost goes down by a fixed percentage. For example, if the price of electricity from wind is 10 cents per kilowatt-hour with a given number of wind farms, a 10 percent “learning rate” means that wind electricity would cost 10 percent less, or 9 cents per kilowatt-hour, if one doubles the number of wind farms. Our main finding was that the learning rate for wind power is in the range of 7.7 percent to 11 percent. 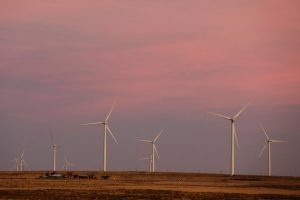 That means if more wind power is installed and the cost of energy continues to decline as it has in recent years, the cost of generating electricity with wind will fall from 5.5 cents/kilowatt-hour today to 4.1–4.5 cents/kilowatt-hour in 2030. Previous studies obtained learning rates from -3 percent to +33 percent, the minus sign indicating wind becoming more, rather than less, expensive over time. Why are the results so different? We showed that one can get very different outcomes depending on the method and data range used. First, we believe it is important to account for wind power costs in terms of the total cost to generate electricity. Many prior studies measured wind cost as the price to build the capacity to make electricity at peak wind times. But this is a poor measure because much of the progress in wind technology in recent years has been to generate more power when the wind is weaker. Secondly, it is important to treat wind power as a global industry. The adoption of wind in one country helps the industry develop and grow so that wind becomes cheaper in other countries. Modeling wind adoption in only one nation can skew results. Finally, results depend strongly on the date range of data used. Even with an identical method, the estimated learning rate can change up to 10 percent depending on which years of data you use. So if wind costs will fall to 4.1–4.5 cents/kilowatt-hour in 2030, as we found, what does this mean for wind subsidies? The U.S. Energy Information Agency projects the cost of natural gas and coal power in 2030 will be 4.5 and 5 cents per kilowatt-hour respectively. Taking these numbers at face value, wind is on track to become cheaper than fossil fuels as a source of electricity. One must be cautious, however, in feeling too sure of forecasts. Technologies and fuel prices can go in unpredictable directions. Also, wind is an intermittent resource, meaning it can’t provide round-the-clock power as fossil fuels can. There is an additional cost to this intermittency, which is very difficult to predict. Also, being cheap doesn’t mean we will soon be able to switch to 100 percent wind. To meet electricity demand continually, we will need a combination of energy storage, lowering power consumption at certain times (known as demand response) and traditional “firm” power production. This said, the past suggests a trajectory in which wind becomes economically competitive with fossil fuels. Our study shows that support policies, such as the current Production Tax Credit, are contributing to lowering wind costs. As such, continued subsidies are expected to enable a smoother and cheaper transition to a sustainable energy system. Eric Williams is an Associate Professor of Sustainability at Rochester Institute of Technology. Eric Hittinger is an Assistant Professor of Public Policy at Rochester Institute of Technology. Both receive funding from the U.S. National Science Foundation. This article was originally published on The Conversation. Read the original article.